Warm sunshine and calm azure waters bade us good morning as we entered the gates of Sta. Monica Beach Club. We walked along its manicured lawns and marvelled at the serenity of the place. 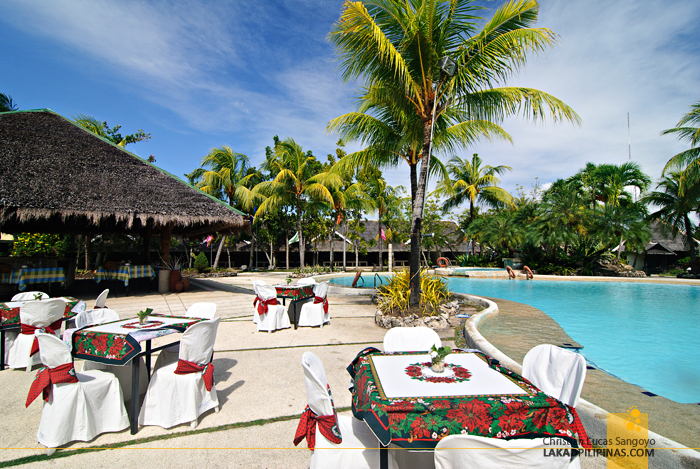 Located on the northern coastal area of Dumaguete City at Barangay Banilad, it escapes the bustle of the city and brings guests out into a more laid back part of the city. Sta. 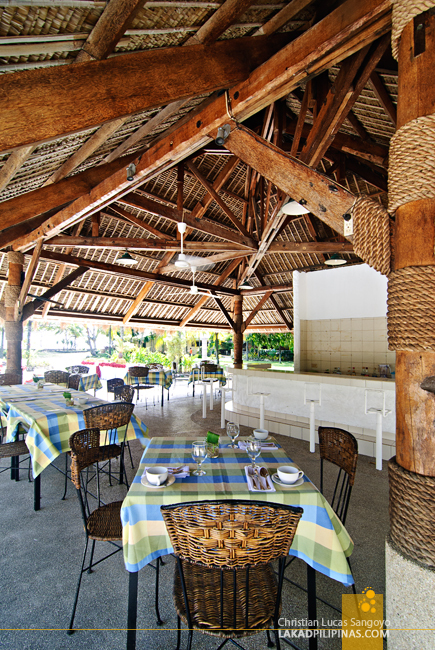 Monica is nestled between nipa plantations and an authentic fishing village. 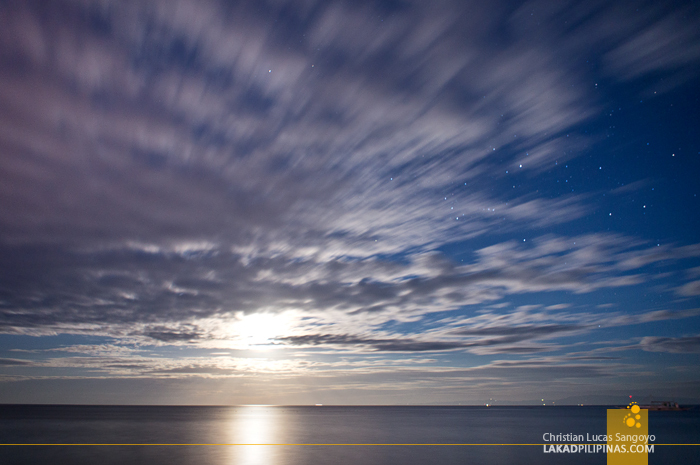 It overlooks the Dumaguete City Bay, which brings in the cool sea breeze the whole year round. 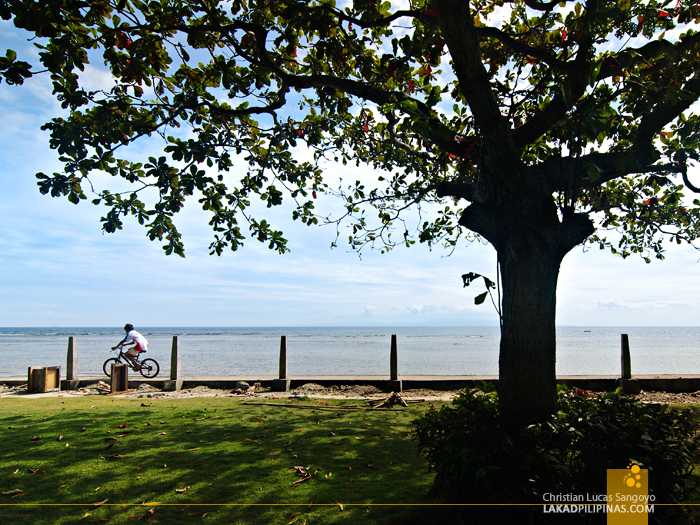 There are no car noises and no motorcycle throttles here; it’s simply us, the trees and the beach. I was actually surprised that Dumaguete City has a beach resort. I know about the famed beaches of Siquijor, Manjuyod and Apo Island, but absolutely didn’t know that Dumaguete also has one. To be honest though, it cannot compete with the white sand beaches of its neighbors (although the sunrise here is really fantastic), but if you simply want a base camp with a beach while in Dumaguete, then Sta. Monica Beach Club is definitely for you. Sta. Monica offers three room accommodation types in their resorts. 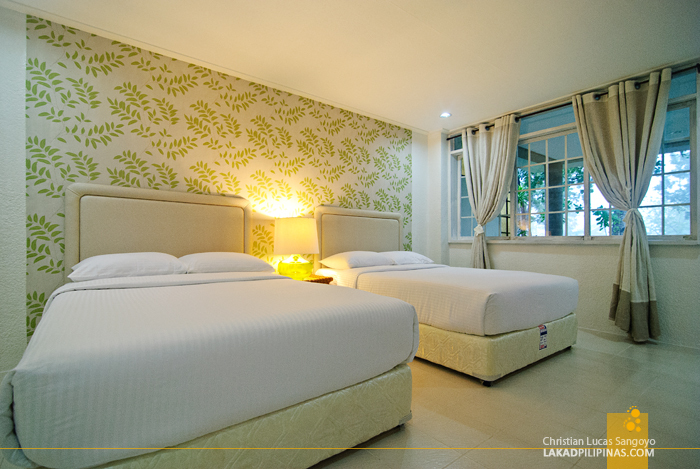 The De Luxe Rooms (Php 3,500.00) which can either have two queen-sized beds or a single king-sized bed; the two-storey Family Rooms (Php 5,500.00) which are good for a small family and the Beach House (Php 12,000.00) which are perfect for bigger groups. All rooms are coupled with a free breakfast fare. 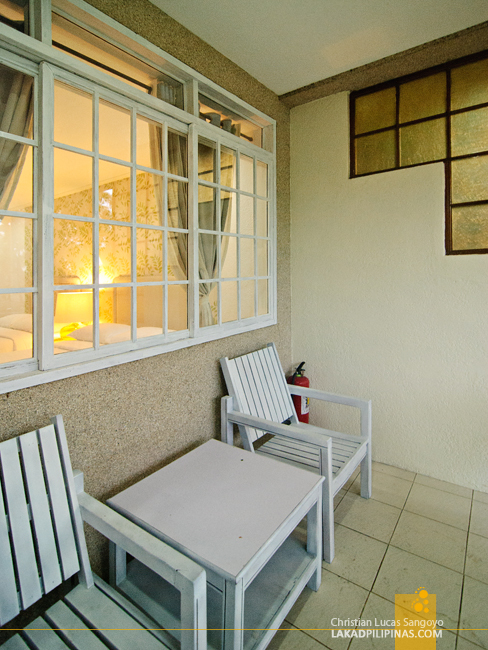 We curled up at their deluxe rooms during our five-day stay in Dumaguete City. The rooms are decorated in a minimalist beach house manner and are spotlessly clean. The beds are absolutely wonderful, they’re one of the softest and most comfortable I’ve tried so far. It’s air-conditioned and there’s a flat screen TV, although we rarely got to use it since we stayed outside most of the time. 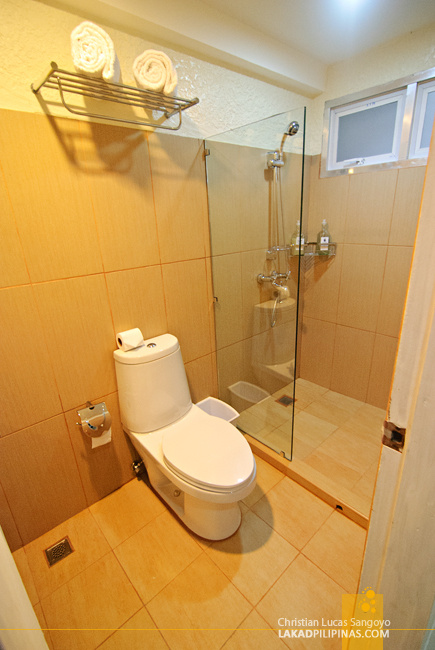 The bathroom is absolutely nice! It’s very clean and there’s hot water to boot. I also love the local touch they give to the shampoos and bath gels which they have in gin bottles! The only thing is, unlike those in sachets and small bottles, we were unable to bring those home with us, lol. 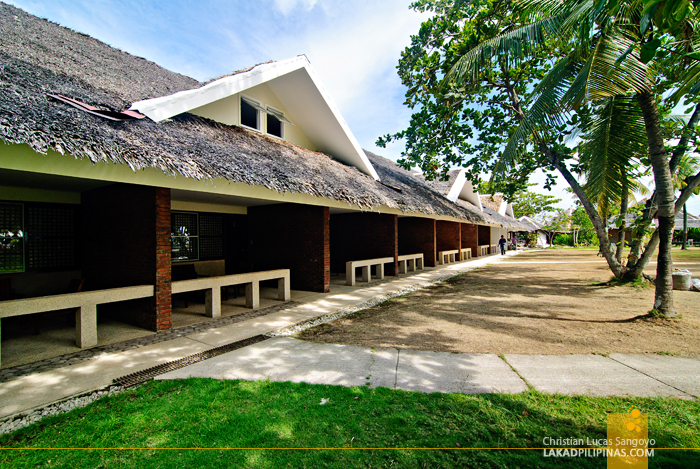 The open-aired thatched gazebo in the middle of the resort is where we usually spend our time. This is where we eat, this is where we open our notebooks and pretend to work, this is where we booze at night and yes, this is where gossips are exchanged afterwards haha. I’m tempted to post the food served during our stay at Sta. Monica Beach Club but it would be unfair to do so since it deserves another full article for that. 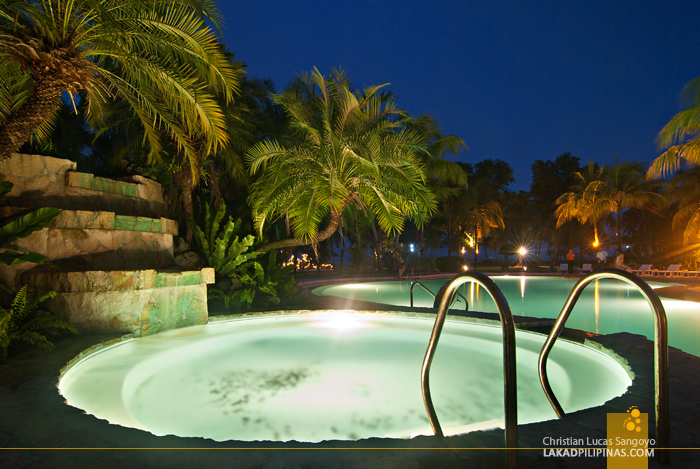 The kidney-shaped pool and its adjoining sitting pool is also one of our favorite hang outs in the resort. After a long day of exploration, we usually just take off our shirts and jump into the water while waiting for dinner to be served. The original plan was for our group to stay two nights at the Sta. Monica Beach Club. But due to an incoming typhoon which belted Dumaguete City senseless and eventually cancelled our flights, our stay extended to three more days. Lucky for us, our host at Sta. Monica was more than happy to accommodate us again; and of course, we were also more than happy to accept their invitation. Dumaguete’s Sta. Monica Beach Club rocks! wow! I love thee room! Sosyal and looks so comfy!